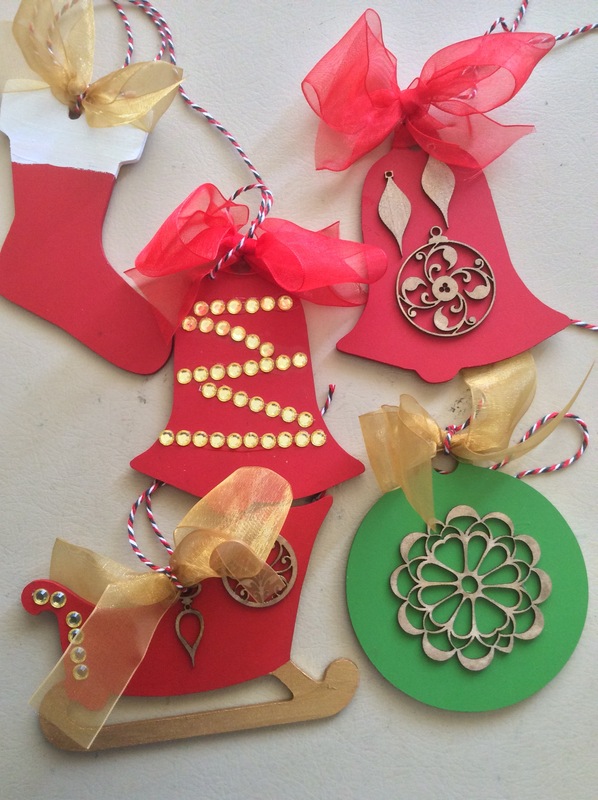 Well as I am still looking for a new job I thought I would get stuck in to the christmas craft projects, in my christmas box I found wooden decorations and laser cut shapes. Aah that’s right a friend gave me a chipboard christmas ornament with laser cut shapes painted in gold and tied with a ribbon. So what will I do. Paint them, add the laser cut shapes painted in antique gold and when I ran out, added some bling. 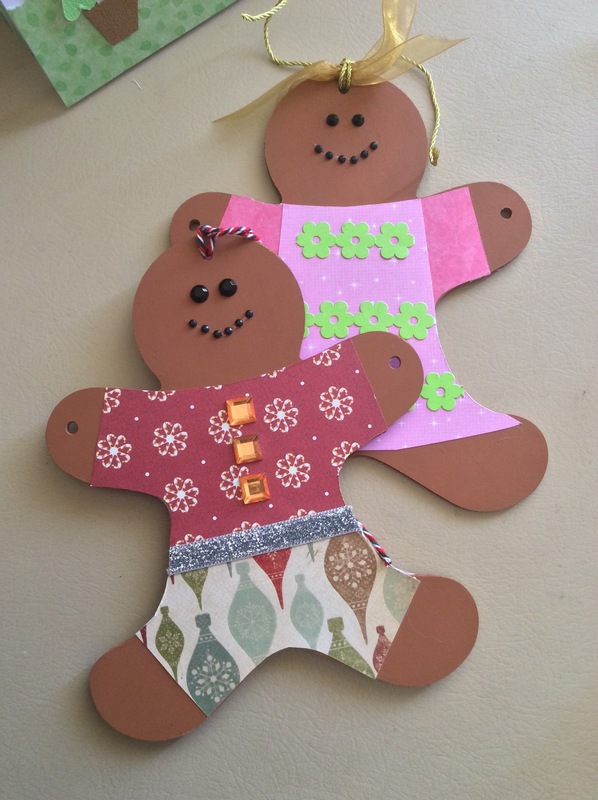 I also had two gingerbread garland with 5 gingerbread people. Mum saw it and asked how many I had. Mmm not enough she said, she had 40 staff. 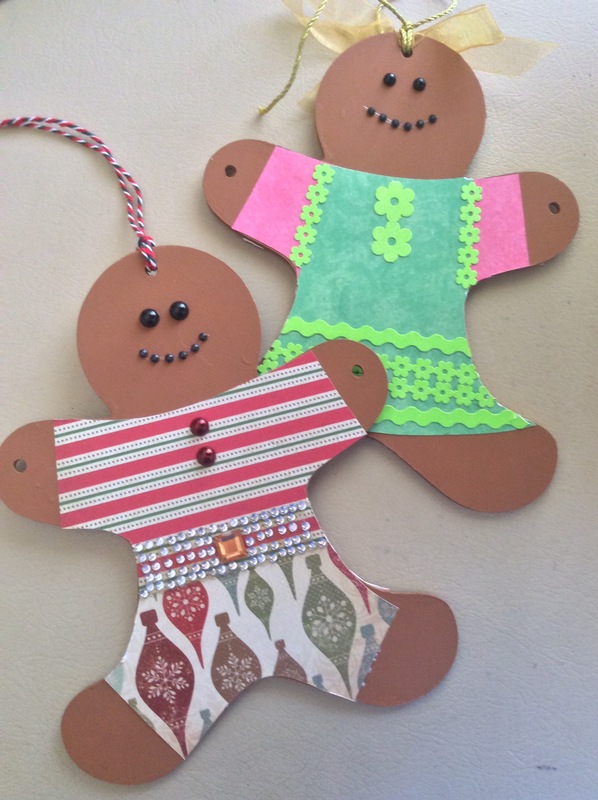 So off I went to kaiser craft and yes, craft gods, thank you, they had enough to get to 40 and they were on sale. So a sample was made and provided for approval. And here they are, decorated front and back. Approved! So 10 left to undercoat and need to play with the cricut to see if I can cut the clothes using it instead of by hand. So, go mum, it was a garland but they look great as individual christmas decorations. 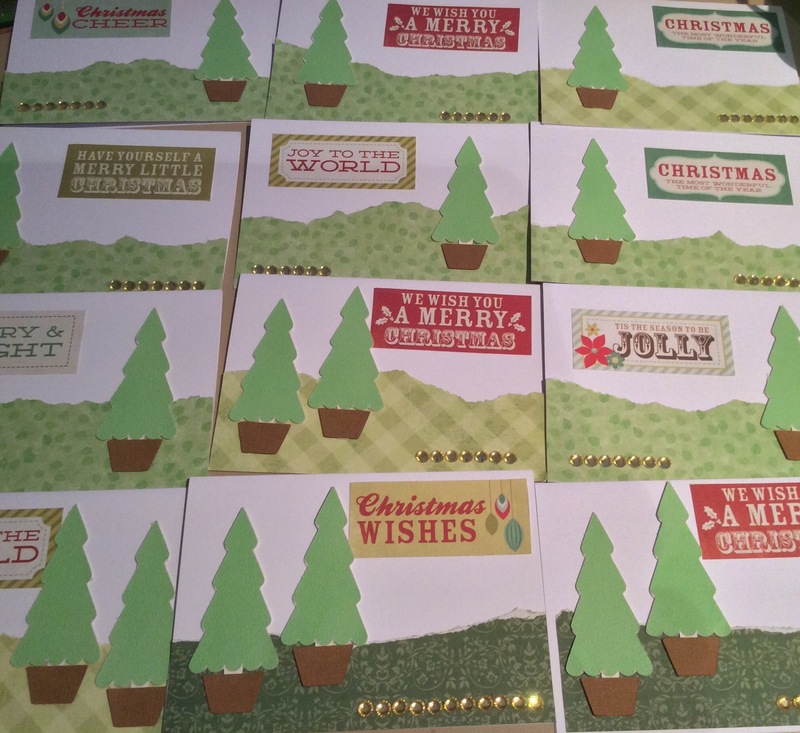 Quick christmas cards – design then repeat! Currently I am churning out christmas cards for a local homeless charity op shop to sell to raise new funds to build new accommodation. I am taking this opportunity to start destashing but also come up with some simple elegant angel policy compliant cards that can be made quickly and sold for a reasonable price. Bit like my family christmas cards I like to create a design that I can then repeat quickly. It is great to have beautifully designed cards but when you are making 150, even starting in October its a lot of work. So I bought a 12×12 paper with christmas messages from kaisercraft and cut it up, then die cut a stack of christmas trees with my cricut, found some green pattern paper and started tearing. Top tip with tearing, tear on the wrong side facing you and toward you and you will not end up with white bits! Assemble, tidy up the edges and add some bling.